The Pull Handle on Backplate is by From The Anvil. Ideal for use on single or double doors. 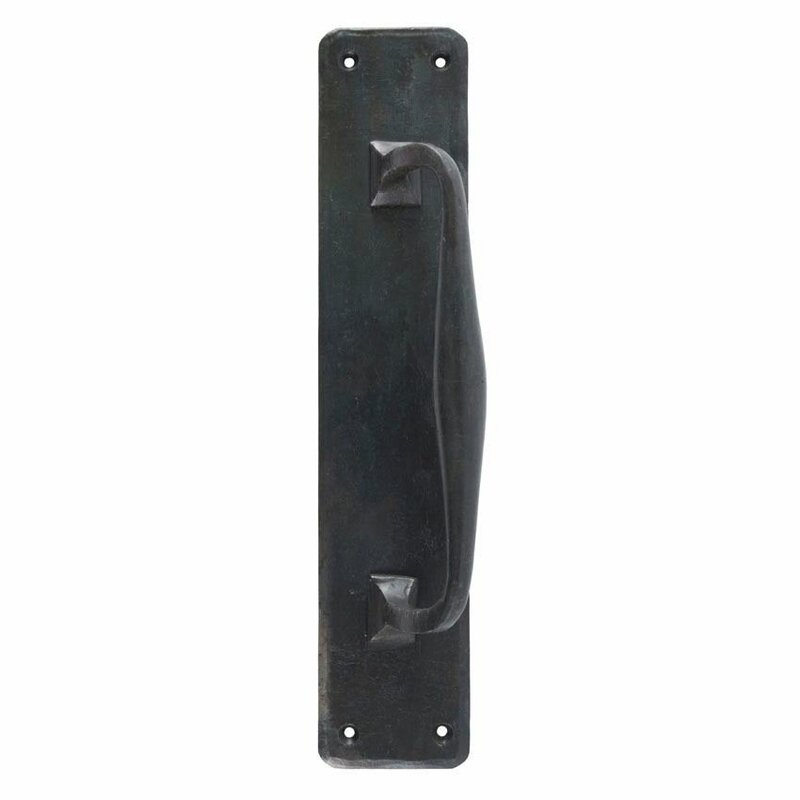 A heavy duty finger plate with a large, comfortable offset handle. Supplied with all the necessary screw fixings.